Are African Americans overrepresented when it comes to the number of abortions performed? The number of abortions performed is directly related to the number of unintended pregnancies. Women who have unintended pregnancies are more likely to have abortions. According to the “Characteristics of U.S. 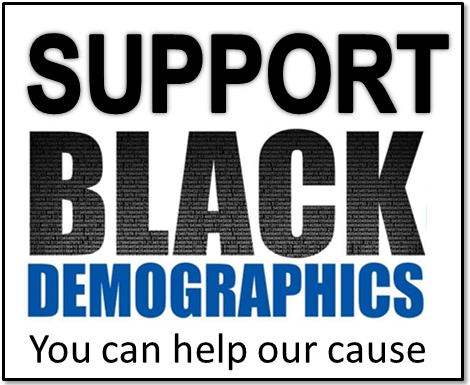 Abortion Patients, 2008” report by The Guttmacher Institute, 69% of pregnancies among black woman are unintended, compared to 40% of pregnancies among white women and 54% among Hispanics. There is a direct correlation between women who have abortions and their relationship with the men who made them pregnant. Eighty-five percent of women having abortions were unmarried*, including 45% who were never married and 29% who were cohabiting. Among never-married women obtaining abortions, just over one-half had been in a relationship for less than a year or no relationship at all with the man who made them pregnant. In 2009 Sixty nine percent of Black women were not-married including the 47%*** who have never been married and excluding the 5% who are currently separated in 2009. There is also a direct relationship between contraception use and unintended pregnancies. According to U.S. National Center for Health Statistics 45% of Black woman use no contraception at all which is just 7 percentage points higher than all woman and 10 percentage points higher than White woman. Only 40% of African American woman use contraceptives with low failure rates**** such as sterilization, IUD, and implants which is lower than the average (44.3) for all women and 47.9% for White woman. Income is a big factor when it comes to abortion. Women who live in either poverty or have low incomes have 69 percent of all abortions*. Just over 60% of African American households live in poverty or have low incomes compared to just 36% of all American households. In summary, African Americans are overrepresented when it comes to the number of abortions performed. African Americans are also over represented in four of the major factors that lead to abortions; unintended pregnancies, unstable relationships, lack of contraception use, and low Income. ****Source: U.S. National Center for Health Statistics, National Survey of Family Growth, “Use of Contraception in the United States: 1982–2008,” Series 23, No. 29, May 2010. See also <http://cdc.gov/nchs/nsfg/>.